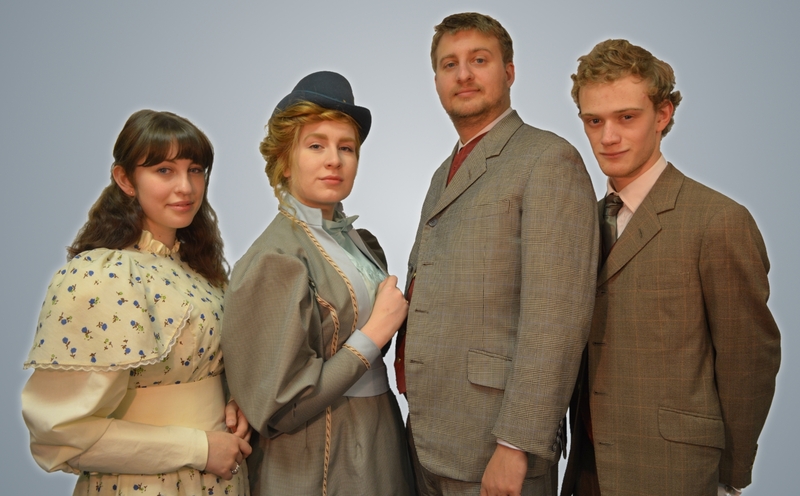 Alsager Community Theatre is set to brighten up those long winter evenings with its production of the classic Oscar Wilde comedy The Importance of Being Earnest. 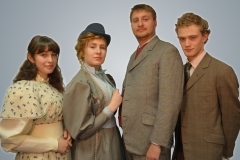 This farcical comedy famed for its witty dialogue and the absurd behaviour of its characters was written in 1895 and has remained popular to the present day, with frequent stage productions and several films. Jack and Algernon are best friends and in order to escape social obligations and the demands of polite society, both are living a double life. Algernon pays frequent visits to a fictitious invalid friend (Bunbury), while Jack invents a troublesome younger brother (Ernest), who regularly needs his attention. Naturally, both are on the cusp of falling in love and marrying, and during the action of the play it becomes essential that both change their names to Ernest! 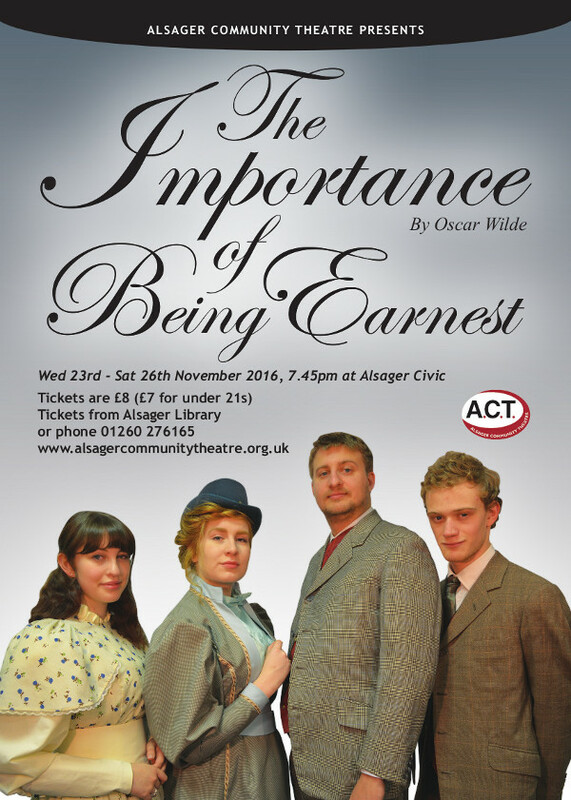 This play will be performed at the Alsager Civic centre from the 23rd – 26th November 2016.